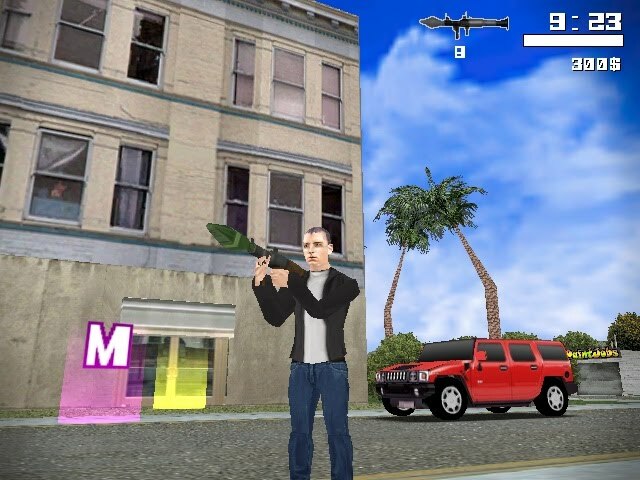 In the Crimelife games, you explore a huge city, gunning down cops and pedestrians, carjacking, crashing and generally having fun with the freedom of the game. You can call it a GTA clone. Pretty impressive work done in GameMaker 8.0 by a single guy. It's alright for a free game, but it needs some work. For one, it always crashes about 10 or 15 minutes in. Granted, this could be because I have Windows 8, but this would be irritating had I payed for the game. The aiming system needs some work: If one presses the right mouse button there are very clearly a set of crosshairs on the screen where one would expect to shoot, but if the walk any other direction than forward while holding this button, the bullets go not towards the crosshairs, but towards the direction the player is walking (making it impossible to run away and shoot at the same time). Also, the driving camera needs some work. But hey, enough with the bad stuff. You can steal any car you see, and while you could take the conventional "GTA method" of approaching the car and pressing the appropriate button, the author also gives you a grappling hook gun, which allows you to target a car, fly through the air towards it, and take it over (like Just Cause 2 style). There is a semi-large island world, full of pedestrians with a wide variety of vehicles, cops armed with all sorts of weaponry that will relentlessly hunt you, an unobtrusive backstory, and special vehicles such as taxis and fire trucks that allow you to do special side missions. 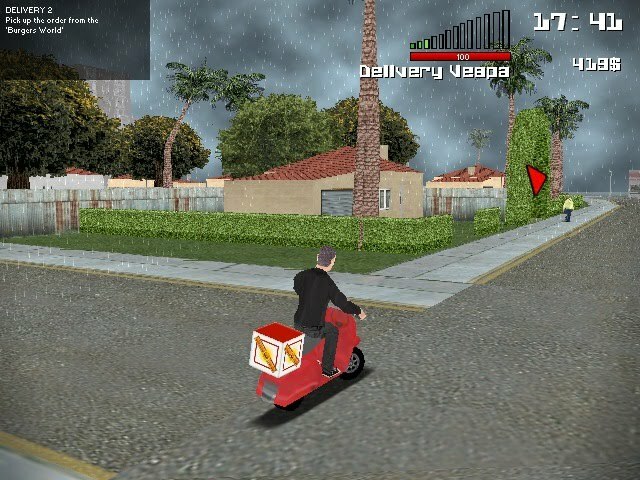 You can also deliver burgers and steal cars as side missions for cash. The world is fully 3D, but provides only partial verticality (i.e. you can look up and down, but your bullets will always move parallel to the ground, and all items of interest will be on the same level as you). In this world there are also homes to buy, and a nifty weapon shop that sells all sorts of illegal weapons. I give it an 8 out of 10: It could have been better on the crashing part, and on some of the mechanics, but it's pretty good otherwise. This feels like the prototype game that came before GTA 3 but after GTA 2.